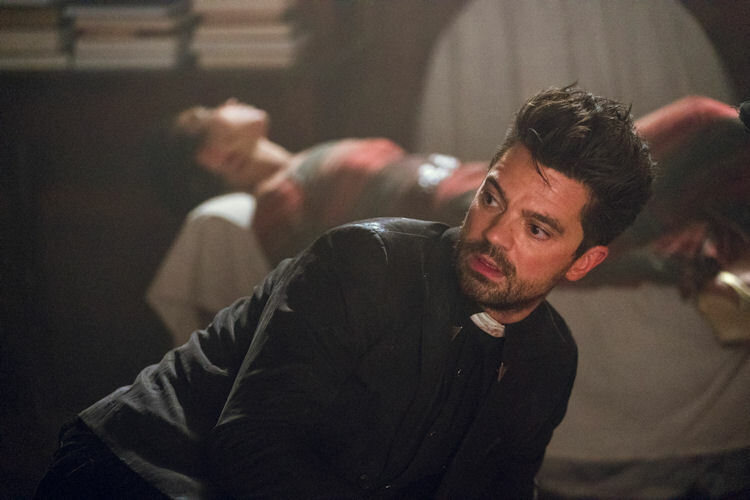 Those expecting a dose of Herr Starr or the Saint of Killers in the third season premiere of Preacher are going to have to wait at least another week before getting their fix, because the series decided to devote its entire opening hour to bringing Tulip back from the dead, and introducing the new cast of characters who will make Jesse’s life hell. That’s not to say that bringing one of your lead characters back from the dead isn’t worthy of the effort, because it to totally is. It almost speaks to the maturity of the show that it starts the season more steak than sizzle. We meet Jesse’s new cast of tormentors right off the bat in a black and white flashback. 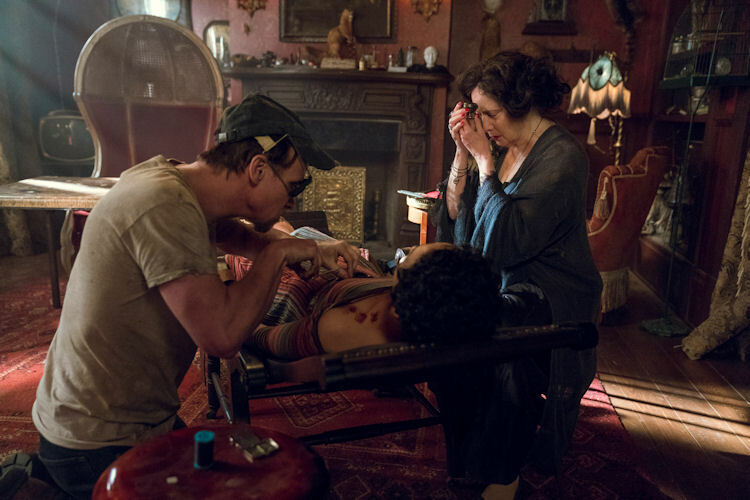 His grandmother runs a roadside antebellum tourist attraction that serves as a front for her voodoo medicine practice. Jesse’s mother tries to break free, and is gutted for her efforts. This establishes that Madame Marie is used to getting her way, and her two henchmen are a big help toward those ends. As for Jesse, he’s put through the wringer in this episode. First he has to duke it out over Tulip with Cassidy, then Jesse has to make a deal with this grandmotherly devil to bring Tulip’s spirit back. Jesse is subsequently sent on a series of missions that will help return Tulip to the other side. Although he knows what the true cost of this favor will be, Jesse does everything for Tulip without a moment’s hesitation. We learn that Purgatory is one part avant-garde community theater and one part bad sitcom. Tulip sits alongside her younger self, reliving traumatic moments involving her father, while waiting for Death to come collect her for processing. We learn where Tulip gets her attitude about herself, her family and her love of Necco wafers (and guns and Boo Berry cereal). Despite seeing a life filled with tragedy and disappointment (with the help of a few favorite things from the earthly realm), Tulip isn’t quite ready to give up living and open the door for “Child Protective Services” to come in and take her away. Thankfully, Madame Marie mystically supplies her with the tools (namely a battery for the kit cat clock on the wall) to give her the extra time she needs. Before Tulip’s spirit rejoins her body, she has a vision of the dog-suited god, who has a mission for Tulip, but of course she wakes up before she hears what the mission is. Although there were a few action sequences, this was an unusually quiet way to start the season. It’s hard to tell if the series is that confident in the audience’s love for the three primary characters that it doesn’t need huge plot twists or explosions to hook viewers back in. This hour established the paths for Jesse (dealing with another set of tormentors) and Tulip (returning from the dead and her mission). That leaves Cassidy as a sort of third wheel, which is a shame given that he’s been the series’ breakout character. 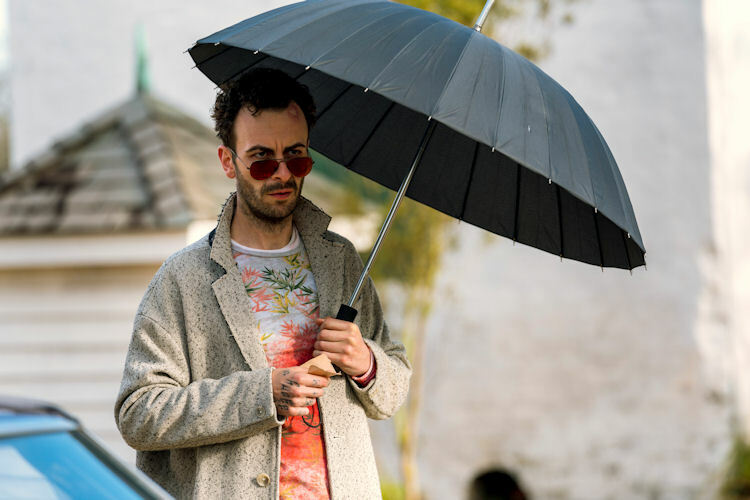 There’s hope there’s a plan for Cassidy this season, and much like everything that was left hanging from Season 2, the premiere merely served as a prologue that will tangle everything together in the outrageous ways that have become Preacher‘s signature. 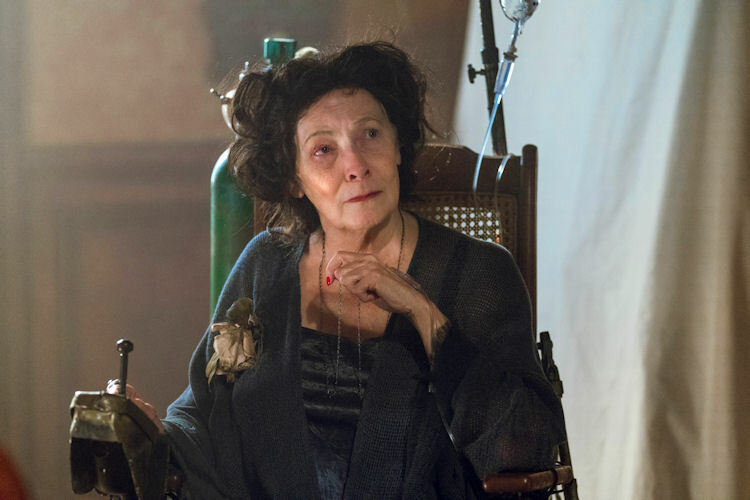 Previous story The Expanse , ‘Fallen World’: How Is Next Week the Finale?